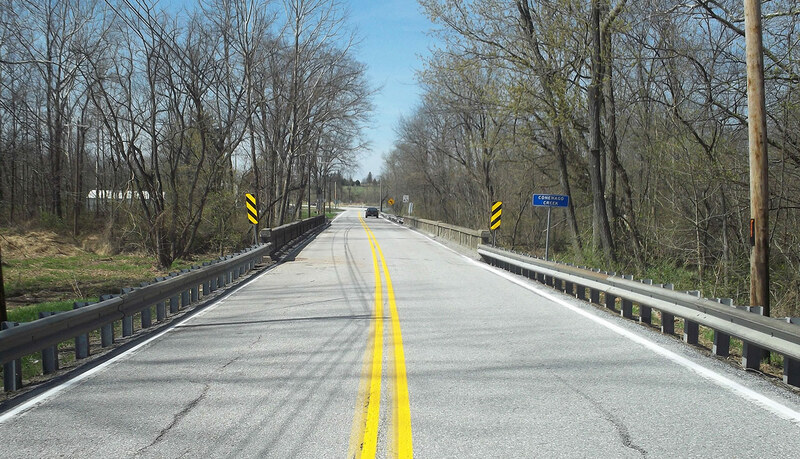 Construction for the Route 394 (Table Rock Road) bridge, spanning Conewago Creek in Butler Township, Adams County, is scheduled to begin the week of January 15 as part of the Pennsylvania Department of Transportation’s (PennDOT) Rapid Bridge Replacement Project. The new bridge should open to traffic in May 2018. During the closure, drivers will be directed to follow a detour along Route 394 (Table Rock Road) to Route 34 (S. Main Street), Route 234 (East York Street and Heidlersburg Road), to Route 15 and back on to Route 394 (Shrivers Corner Road). This bridge is referred to as JV-228 and is one out of the 558 bridges being replaced under the Rapid Bridge Replacement Project. JV references the joint-venture partnership between Walsh/Granite, which is leading construction for the entire project.